Environment & Energy Publishing (E&E) is a leading source for comprehensive, daily coverage of environmental and energy policy and markets. They are a high-tech business with an old-school approach to journalism. E&E’s 65-person award-winning editorial team is among the best in the business and enjoys outstanding access to key players in energy and environmental policy. Every day they develop insightful, balanced, timely stories readers won’t find anywhere else. Their coverage of major, breaking news goes deeper than the mass-market news services and brings readers informed, balanced, spin-free reporting that keeps them atop critical issues and developments. 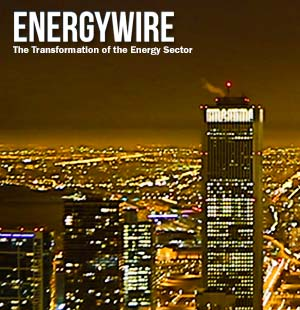 Click here to see the latest coverage of current energy issues in EnergyWire.